Development at Georgia & Otis Moving Forward | Park View, D.C. It looks like the vacant lot on the southeast corner of Georgia Avenue and Otis Place, NW, is finally headed for development. 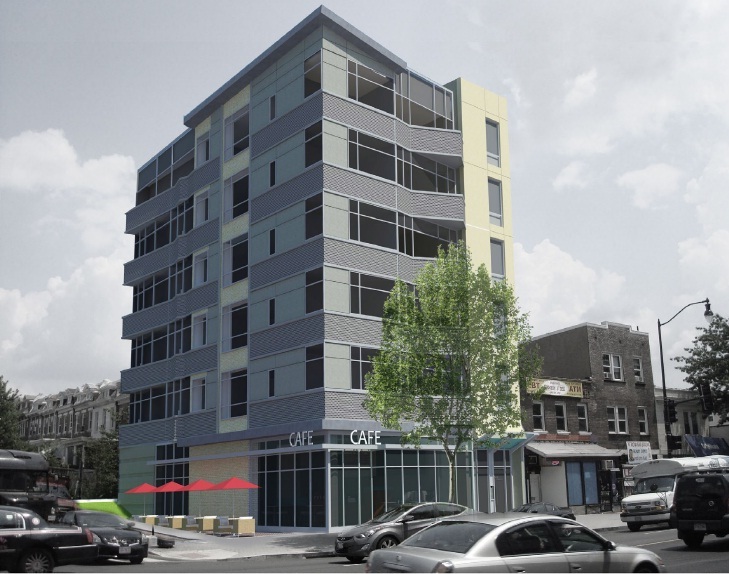 On October 27, 2014, Georgia Avenue Views applied for building permit #B1412322 to construct a new six story, 20-unit condo building with ground floor retail and one level below grade. The permit is currently under review. Details about the development planned for this site were shared back on November 5, 2012, and ANC 1A unanimously voted to support the project on January 9, 2013. The owner also went before the Board of Zoning Adjustment on January 15, 2013, and received the BZA’s approval subject to conditions. For the last year and 8 months there has been no visible progress on the site leaving many to wonder if the project was still in the works. 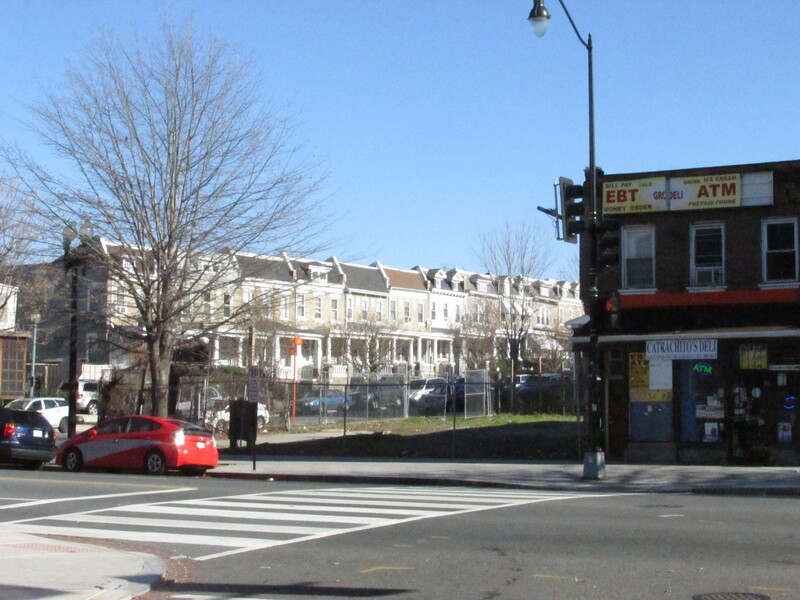 Based on the information shared when the building was originally reviewed by ANC 1A, the proposed retail space would contain approximately 2,138 square feet and would be appropriate for a café. The Otis Place side of the property could also support 530 square feet of outdoor seating should a future tenant apply for a public space permit. The residential units would consist of ten (10) one-bedroom and ten (10) two-bedroom units. The exact number that will be dedicated for affordable housing is not known, but the developer indicated in 2012 that it would be more than the city required minimum. This entry was posted on December 8, 2014 at 7:01 am and is filed under Architecture, Development, Housing. You can subscribe via RSS 2.0 feed to this post's comments. Looks nice; look forward to more development in the neighborhood. Always good to see the GA avenue lots getting developed. This can only help the retail. Exciting! Can’t wait for this (and other projects) to get going.